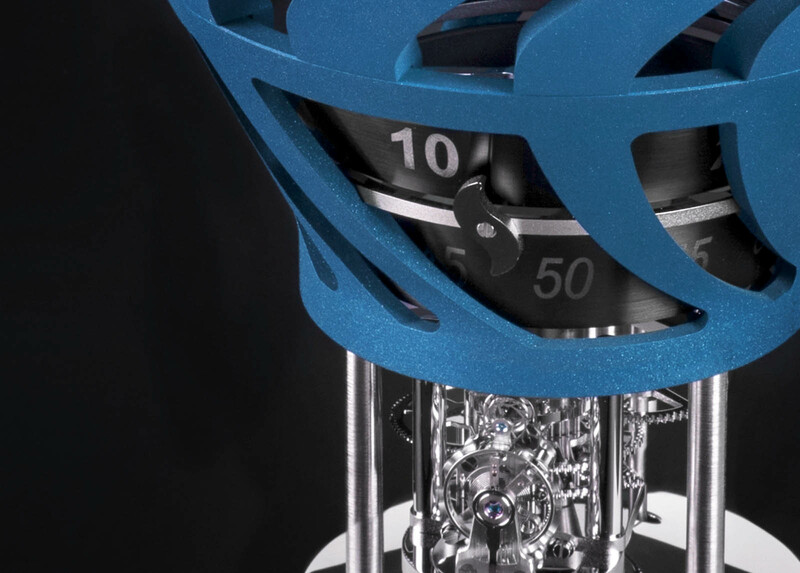 After getting a new lease of life from its collaborations with the ultra-inventive watchmaker MB&F, 180-year old clockmaker L’Epée 1839 began redesigning its clocks, moving away from old fashioned carriage clocks towards more lively styles. While earlier clocks were mostly sci-fi, the latest is more lyrical: the Hot Balloon is a clock that can sit on a desk – or be suspended from the ceiling. The clock was designed by Margo Clavier, a student at Swiss design academy l’École cantonale d’art de Lausanne (ECAL), which runs a masters programme supported by L’Epee 1839. 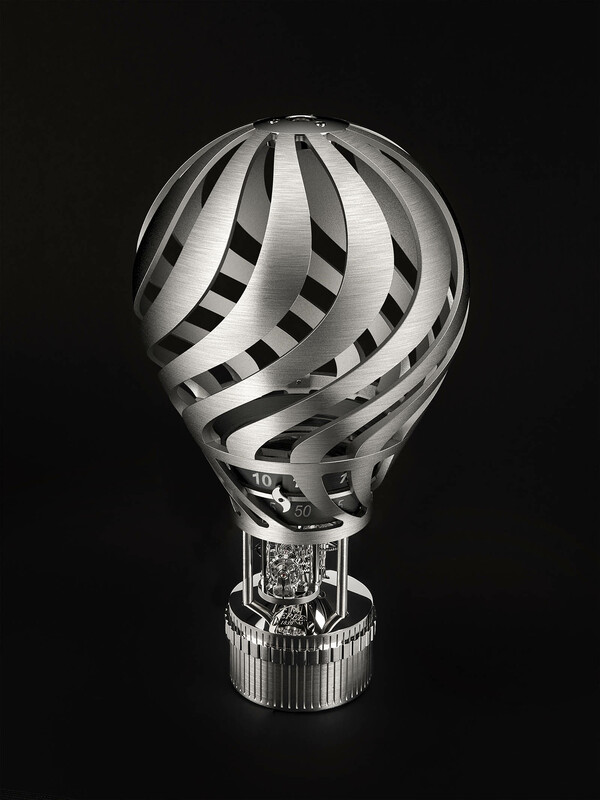 Standing 31cm high, the clock is made of brass and stainless steel, and topped by a large ballon. 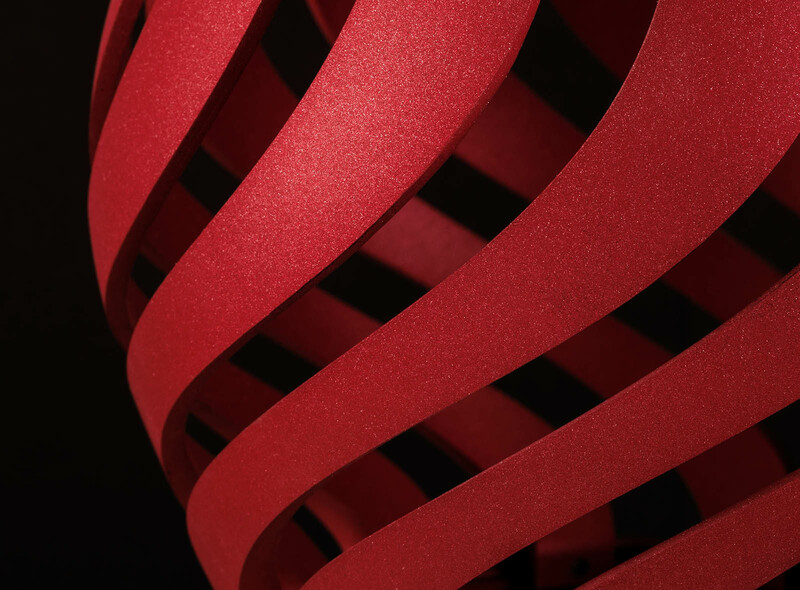 Open-worked into a spiral motif, the ballon lends the clock an airy feel. The Time is displayed on two stacked, rotating drums located at the base of the balloon, with a flame-shaped indicator pointing out the hours and minutes. Despite the radically different form, the Hot Balloon is powered by the same movement as found in space-age Time Machine clock, the cal. 1855 that has an eight-day power reserve. Another distinguishing feature of the cal. 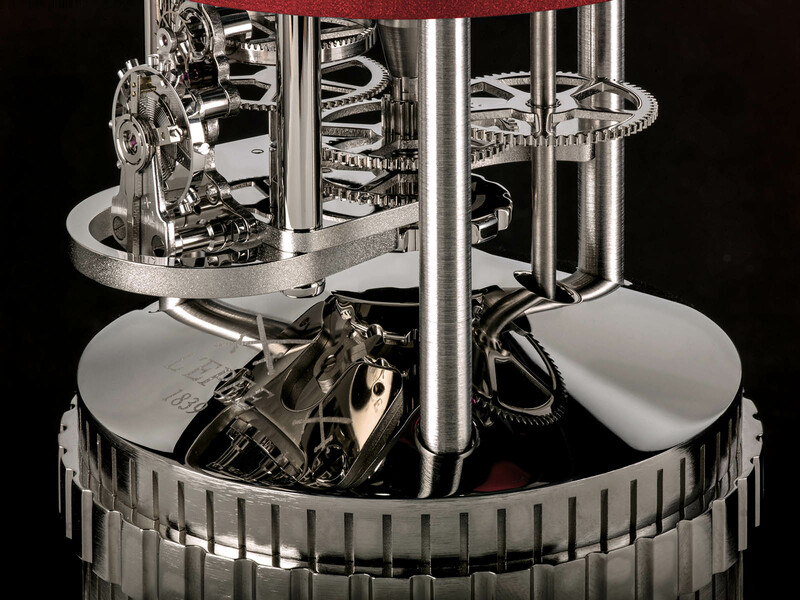 1855 is the vertical escapement, which is located in the gondola of the ballon. And just under the escapement sits the crown for time-setting. The clock can be wound two ways, either by turning the entire gondola, or by simply turning the notched ring that sits below its upper edge, which avoids having to lift the entire 3.9kg clock. 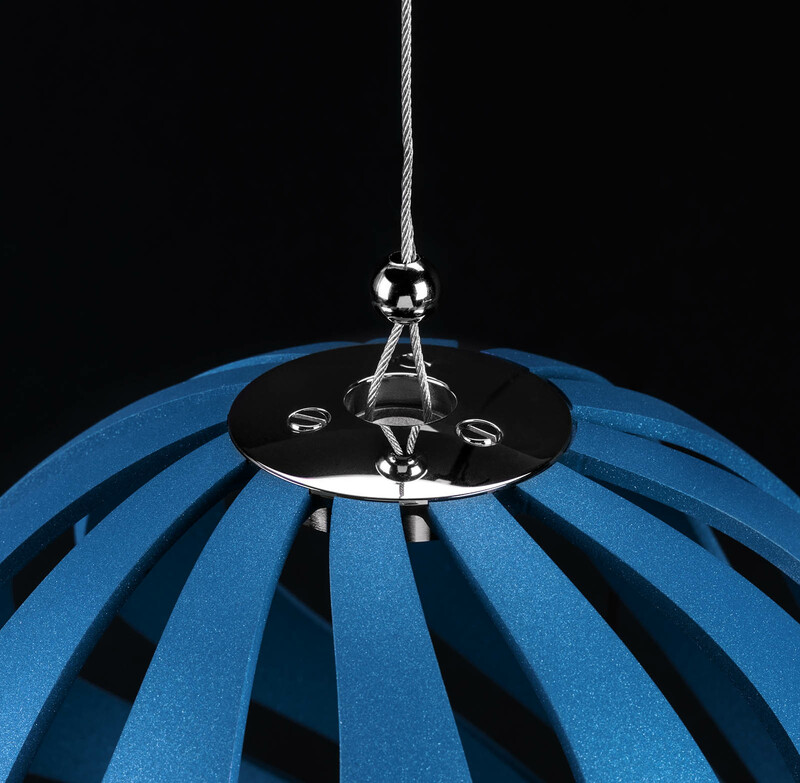 Each clock is accompanied by a suspension kit that includes a metal cable that can be attached to the hot air balloon to secure it to the ceiling. 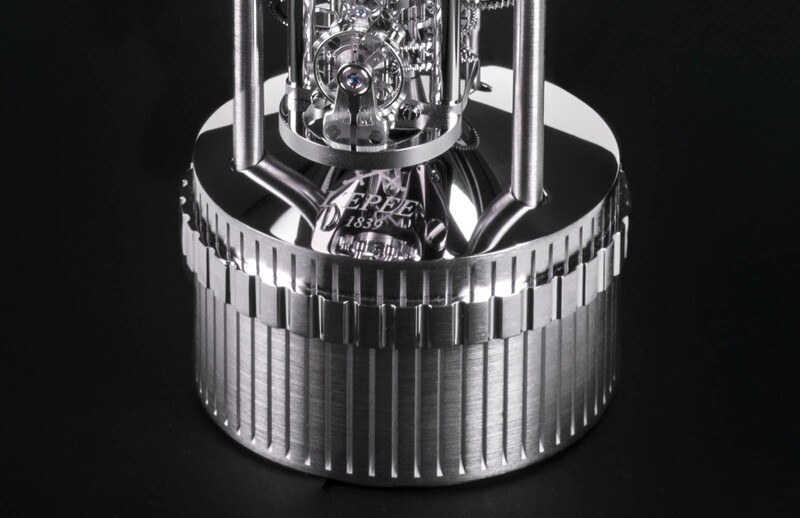 The clock is available in five finishes: all-palladium, or palladium with a ballon in red, black or blue, as well as all-gold. The movement is plated to match the rest of the clock. 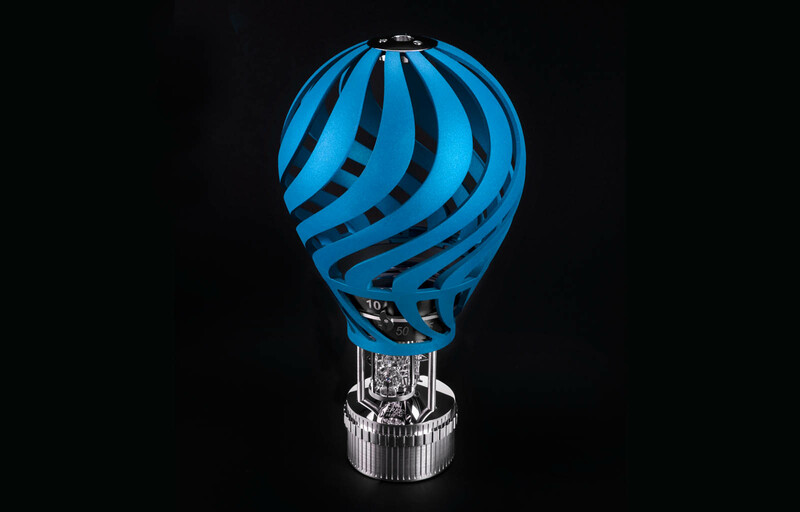 Each iteration of the Hot Balloon is limited to 50 pieces and priced at SFr19,900.